Trick List: Regular Computer Tips, Tricks, Tweaks and Reviews. : How to send Free SMS? 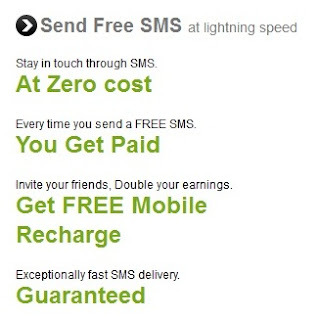 Send Free SMS ( No Registration Fees). Than send any SMS in any mobile Number. And You got Rs. 0.2/SMS. keep SMS and Grow your Balance.